Get a grip, Get an eGrip. The compact size of this stainless steel unit is deceiving. The metal body hides the interior hardware integration of both the atomizer and tank, a transparent viewing port lets you check the 3.6 mL liquid levels, the firing button also houses a 360 degree rotating ring the lets users adjust the Variable Wattage from 8 watts to 20 watts. Did we mention the massive 1500 mah battery? 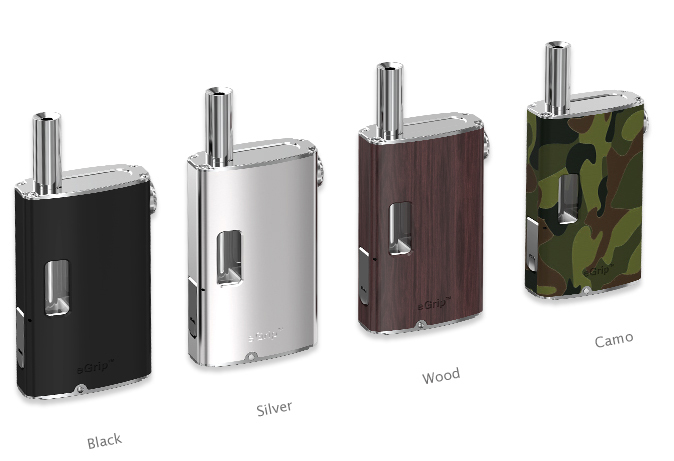 Overall the boutique combination of high end features and small size lets the eGrip really shine. received promptly in 1 day despite it was the weekend! Thank you for being so fast and such a cool product!